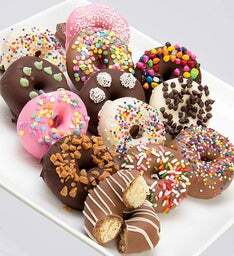 The gang's all here! 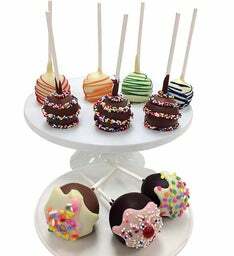 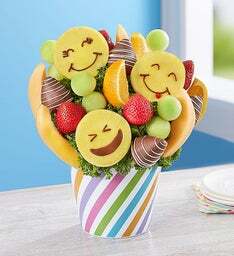 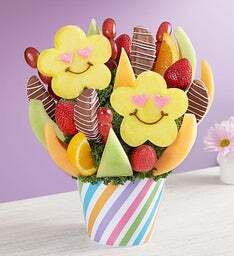 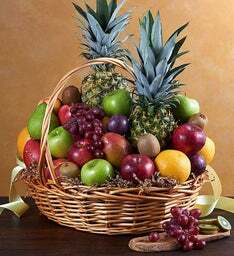 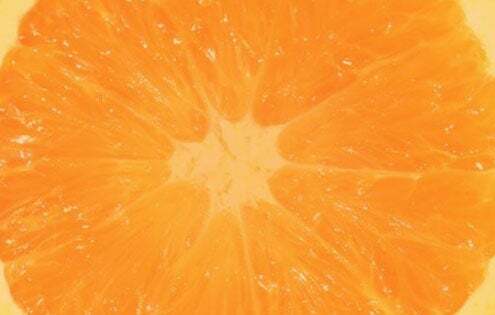 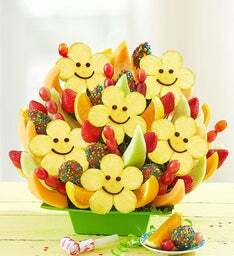 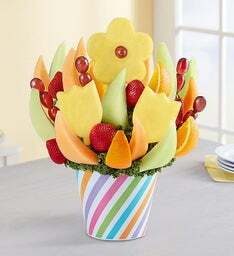 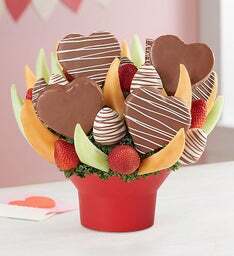 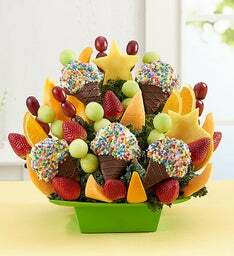 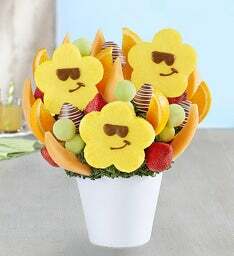 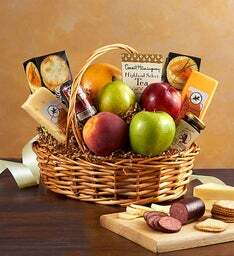 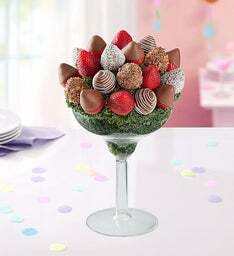 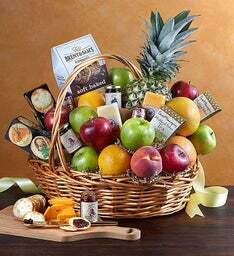 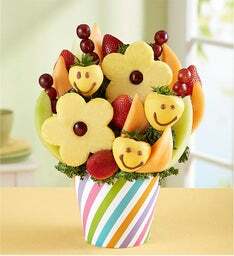 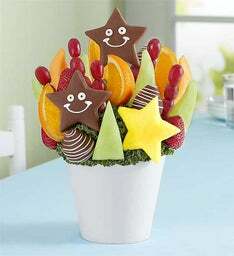 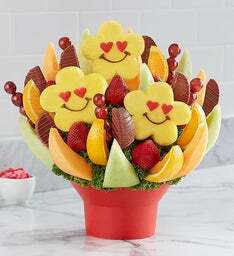 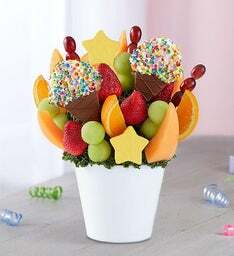 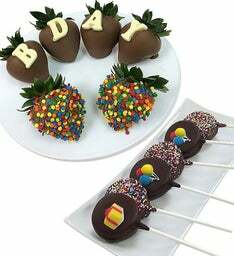 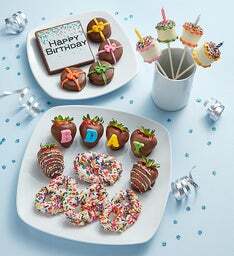 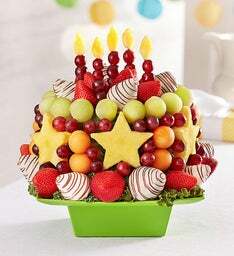 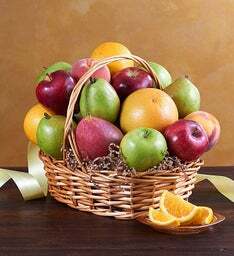 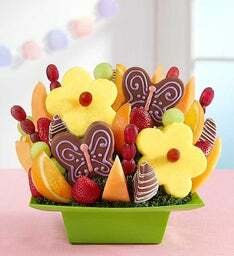 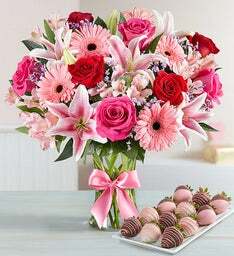 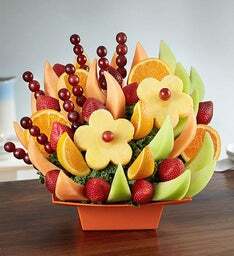 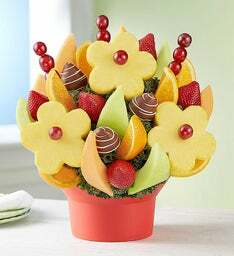 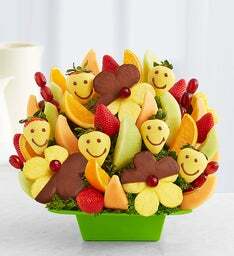 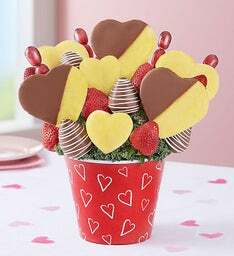 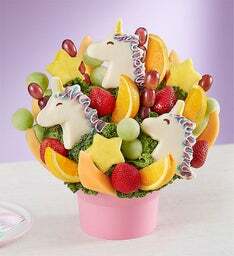 Treat them to our assortment of fresh and delicious fruit arrangements. 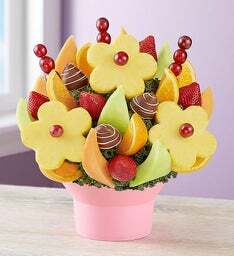 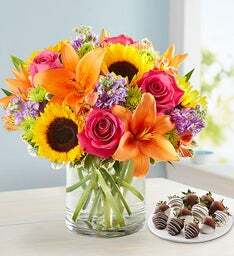 With a mouthwatering assortment of everything from strawberries and pineapples to melons, grapes, oranges and more, these fun bouquets are a tasty way to celebrate.